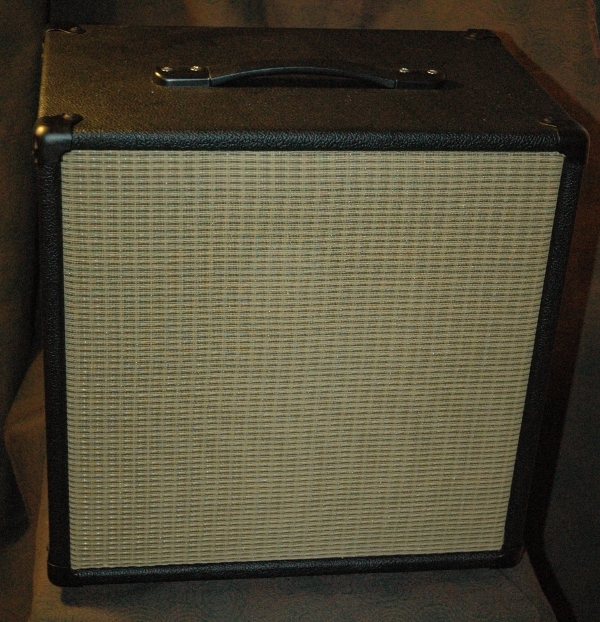 Here's our take of a classic 1x12 ported guitar cabinet that's got a 1/3 removable back. This allows you to use the cabinet in an "open back" configuration as well as being just ported. The port is on the bottom, and extends the full width of the cabinet and the speaker can be both rear (our preferred method) or front loaded. However, unlike other designs, we chose to mount our baffles directly to the cabinet walls, instead of using cleats. This mounting method dramatically improves sound transmission and low end clarity. A simple, flexible, solid poplar cabinet with an European Baltic Birch speaker baffle and dovetailed corner construction. Of course, as with all of our cabinets, more exotic woods are available on request. Dimensions of the cabinet are 18"(w) x 18"(h) x 10"(d).